Brexit: the UK government's education policy has come under attack from two different design bodies, with claims students are being "actively discouraged" from studying design. The National Society for Education in Art and Design said art and design in schools was being eroded while the Creative Industries Federation described the failure to educate a new generation of creatives as "economic suicide". "Curriculum time and provision for art and design is being significantly eroded," said Lesley Butterworth, general secretary of the National Society for Education in Art and Design (NSEAD). "The value given to art and design is under threat." 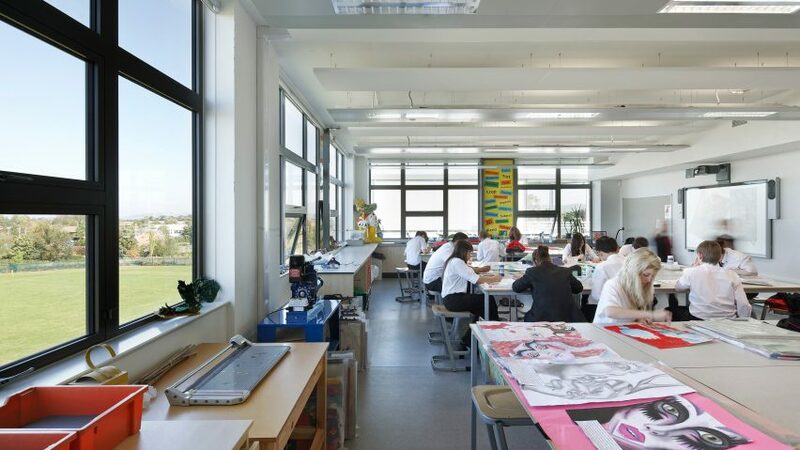 Butterworth cited a recent report from NSEAD – a professional body that promotes design education – showing that the number of students studying art and design at GCSE level fell six per cent this year, from 194,637 to 183,085 – the biggest fall since records began. "Higher ability children and young people are being actively discouraged from taking art and design at GCSE," Butterworth said. Speaking at an arts education summit for politicians at Portcullis House, a government office building in London earlier this week, Butterworth blamed the controversial English Baccalaureate (EBacc) system for forcing schools to sideline design in favour of more traditional subjects. "Primary and secondary teachers are being denied access to high-level, subject-specific professional development in art and design," she said. "The wellbeing and workload of art and design educators has been eroded, morale is low and the future of a profession is being damaged." At the same meeting Sharon Hodgson MP, who chairs the Art, Craft and Design in Education All-Party Parliamentary Group, also attacked EBacc, saying there is "growing evidence that has shown that this school performance measure is having serious consequences on the uptake of arts subject in our schools". Hodgson added that the fall in the numbers of students studying art and design would create "a serious pipeline problem where we will struggle to find new artists, designers and creators to allow the arts and creative industries to flourish". In her speech, Hodgson pointed out that the UK's vote to leave the European Union presented a second threat to the design sector. Citing Dezeen's Brexit Design Manifesto, she said: "Arts and culture unite our country and highlight the best of British to the world. We cannot allow exiting the EU to damage these industries." The Brexit Design Manifesto called on the government to recognise the economic contribution of design – which is the fastest-growing part of the UK's creative industries, generating over £71.7 billion in goods and services a year – and champion the subject in schools. The Creative Industries Federation (CIF) also warned of the twin threats posed by Brexit and EBacc. The CIF published a report last week saying the UK's creative sector faced a "talent crisis" and called on the government to drop plans to force students to study the EBacc curriculum, which excludes creative subjects. "We are failing to provide enough young people with the right mix of skills for many of the exciting jobs in the creative economy as well as in other sectors, including engineering," said the report, called Social Mobility and the Skills Gap – Creative Education Agenda 2016. "Brexit will make the skills shortage even worse – at least in the short term," the report added. "Ready access to often highly skilled Europeans, comprising 6.1 percent of the creative industries workforce, has long masked these issues." Creative Industries Federation chief executive John Kampfner said: "We are failing to produce enough young people with the technical and creative skills needed to fill some of the most exciting careers in the fastest growing sector of the economy. That is economic madness." The Ebacc replaces existing GCSEs with five compulsory subjects: English, maths, science, geography or history, and languages. Leading figures including Jonathan Ive and Stella McCartney fought unsuccessfully to get design included on the EBacc, which is now being phased into schools.